The world of paper flowers has come a long way since the days of twisting crepe paper around a straw. In this workshop learn to make 4 different styles of paper flower which will combine to make a floral bouquet. The textures and qualities of paper perfectly suits the delicacy of flowers. Not only will your creations last long but can also be made using sentimental objects such as letters, lyrics or musical notation to add an extra dimension to your events or displays. The world of paper flowers has come a long way since the days of twisting crêpe paper around a straw. In this workshop learn to make 4 different styles of paper flower which will combine to make a floral bouquet. 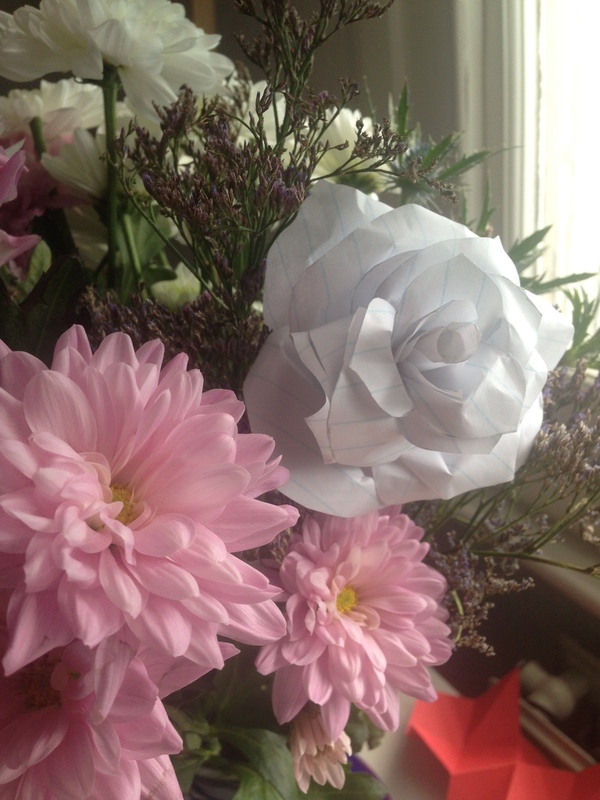 The textures and qualities of paper perfectly suits the delicacy of flowers. Not only will your creations never wilt but they can also be made using sentimental objects such as letters, lyrics or musical notation to add an extra dimension to your occasions or displays.